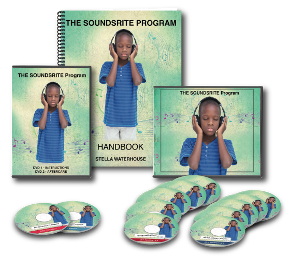 The SOUNDSRITE© Program is an accessible, home based program that is suitable for the treatment of hyperacusis and some of the other auditory differences that particularly affect people on the Autism Spectrum or those with ADHD. Often referred to as an educational program, this non-invasive 10 day "listening" course consists of 10 Cds each of which contain 2 sessions of varied music, which has been specially modulated. That modulation is the key to "retraining" the ear, normalizing the way in which they hear and also helping the brain to process auditory information correctly. Broadly based on Auditory Integration Training (AIT) which was originally developed by Dr Guy Bérard this version also incorporates Stella Waterhouse's personal experience of hyperacusis as well as her knowledge of the Autistic Spectrum and sensory differences. It must be noted that, for many people, the end of the course provides a new beginning, which is especially important for anyone who has missed out on the usual developmental milestones and/or opportunities for learning in their early years. Thus the SOUNDSRITE Handbook and accompanying DVDs also include advice on Aftercare to help consolidate the listeners' progress. The Soundrite Program includes a free set of headphones. • I found the noise of sirens from an ambulance very painful on my ears, however after completing the course I found my tolerance to the sound of an ambulance siren higher, and no pain in my ears, but I still shiver when I hear this nose and need 5 minutes to compose myself. •Additionally I found myself less irritable and the need to withdraw from social interactions cut substantially. I feel this treatment will cut the need for doctors to prescribe Anti – depressants as the use of AIT treatment cut down periods where I was feeling down and low of energy. 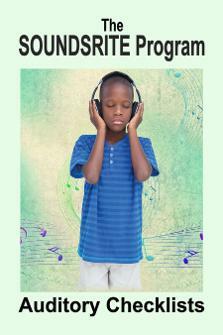 Overall I would highly recommend using the Soundsrite Program as its helped in giving an improved quality of life.